It’s always good to welcome back former students – but even better if they are prepared to take an assembly! 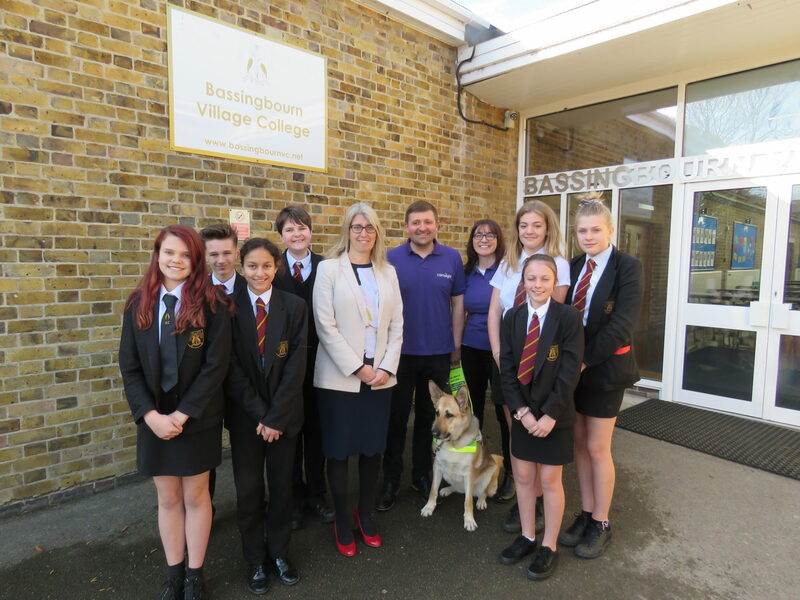 We were fortunate enough to be visited by Nick Burr, a former BVC student and now spokesperson for Cam Sight, a charity that supports people of all ages with low vision and blindness across Cambridgeshire. Nick lost his eyesight overnight five years ago due to cancer. He told Year 9 students: “Luckily I survived this terrible disease, however it did take my eyesight away. Cam Sight were there to help me and I was a client for several years. Nick explained many of the aids available to blind and partially-sighted people including phone apps and gadgets to help with making a cup of tea. 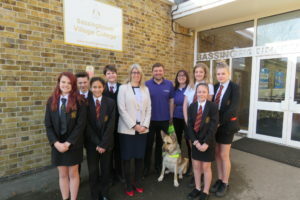 Amber the guide dog was also introduced to students (right). A keen sportsman, Nick then led a session of Goalball (above) where students took part in a match wearing black-out eye masks and using a ball fitted with a bell.